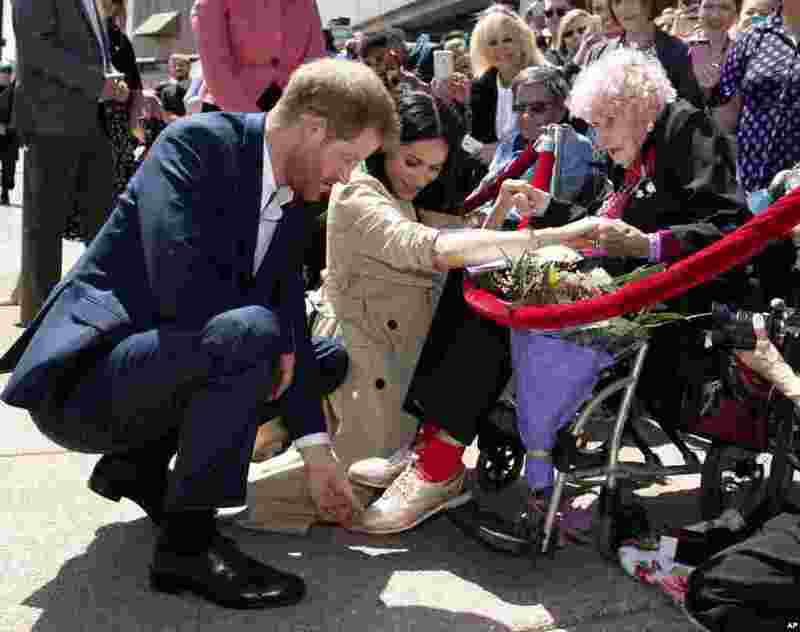 1 Britain's Prince Harry and Meghan, Duchess of Sussex, meet 98-year-old Daphne Dunne during a walkabout outside the Opera House in Sydney, Australia. Prince Harry and his wife Meghan are on a 16-day tour of Australia and the South Pacific. 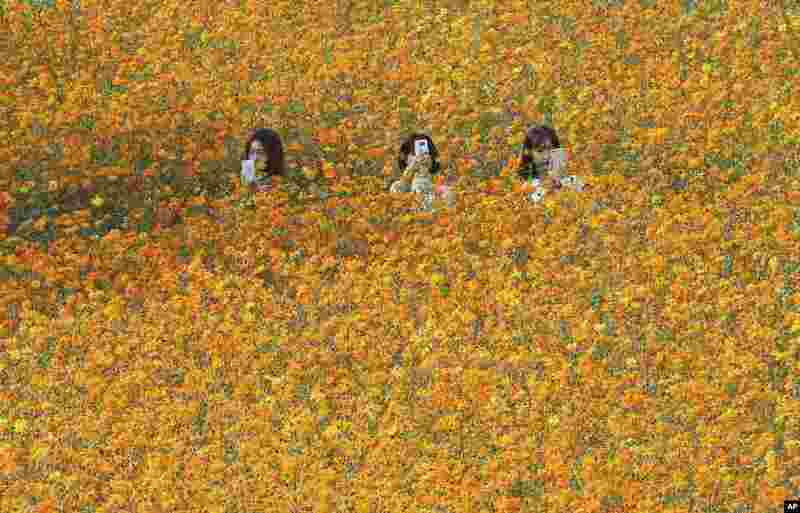 2 Women take photos in a field of cosmos flowers at Olympic Park in Seoul, South Korea. 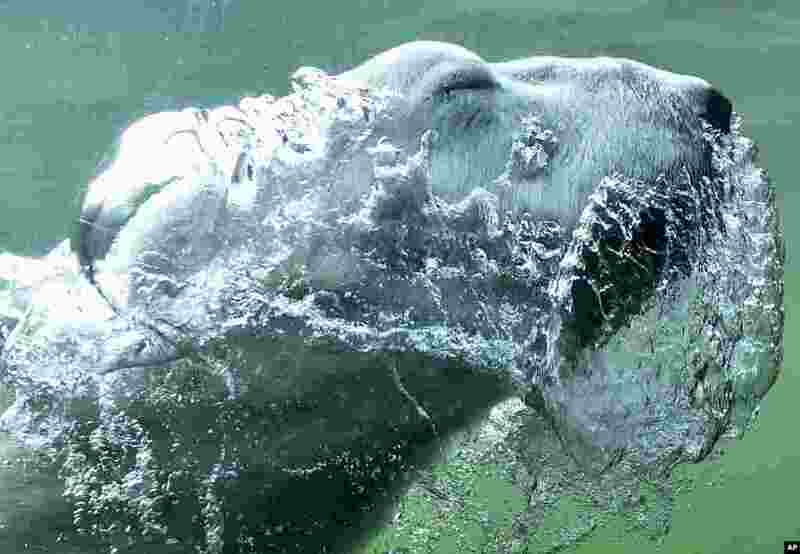 3 A polar bear blows bubbles as he dives in the water at its enclosure at the zoo in Gelsenkirchen, Germany. 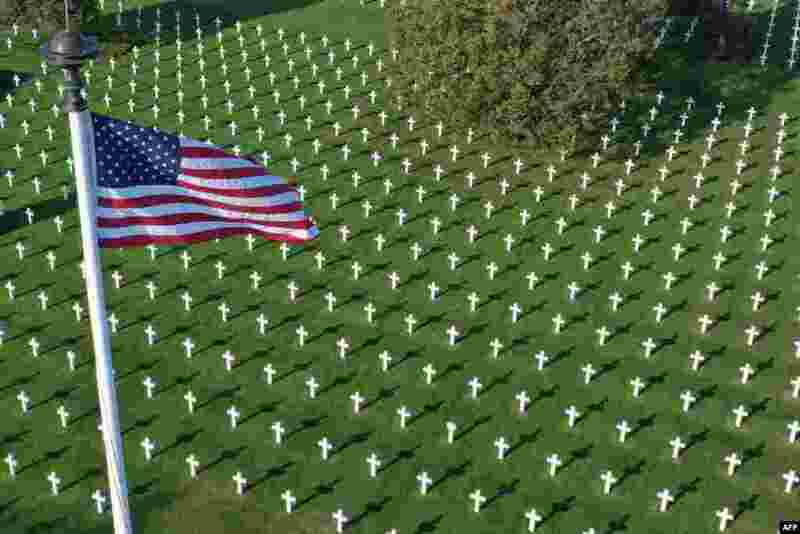 4 This aerial picture taken on Oct, 15, 2018 shows Normandy American Cemetery close to Omaha beach in Colleville-sur-Mer, on the French western Norman coast.